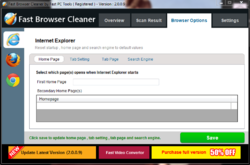 A safe way to clean your web browsers for fast and secure internet browsing. Fast Browser Cleaner 2.0.0.19 was available as a giveaway on July 11, 2017! Fast Browser Cleaner is created to clean unwanted addons, extensions,stored unprotected passwords, credit cards, cookies, history, temporary files and search engines. You can also change start page, home page and default search engine of browser. Clean adware like MyStartSearch, Wazam, HealthAlert, ReleventKnowledge, SweetIm, Babylon, Most of the toolbars of conduit, GameDesktop, YesSearches, Most of the toolbars of MyWay(Ask,Mindspark) etc. How would you improve Fast Browser Cleaner 2.0.0.19? The program fails to see Firefox is installed.. .
Fast Video Downloader is software which allows you to download videos from Bing, Youku.com, Vimeo, DailyMotion, Metacafe, Facebook, Worldfloat, Veoh, Break, CollegeHumor, EHow, Imdb, Academicearth, Bliptv, Anitube, Blinkx, Yahoo, Flickr, Zerodollarmovies, Bambuser, S56, Lemonde.Fr, say-move.org ,video.fc2 , cyro.se , littlethings.com, sohu.com, BoxTv.com, livestream.com, twitch.tv and many more video sites . It can also download videos from sites which use mp4, avi, flv , webm , wmv , 3gp and mp3 file format or host videos. We are extending giveaway on our site. you will be presented with a menu of which you want to remove. all this software does is it saves you a couple of mouse clicks. does nothing your browser can not do on its own, with your browser open, hold down Ctrl and shift, then press the delete key, you will be presented with a menu of which you want to remove. all this software does is it saves you a couple of mouse clicks. What browser allows you to do this? Brian, this works on any browser. 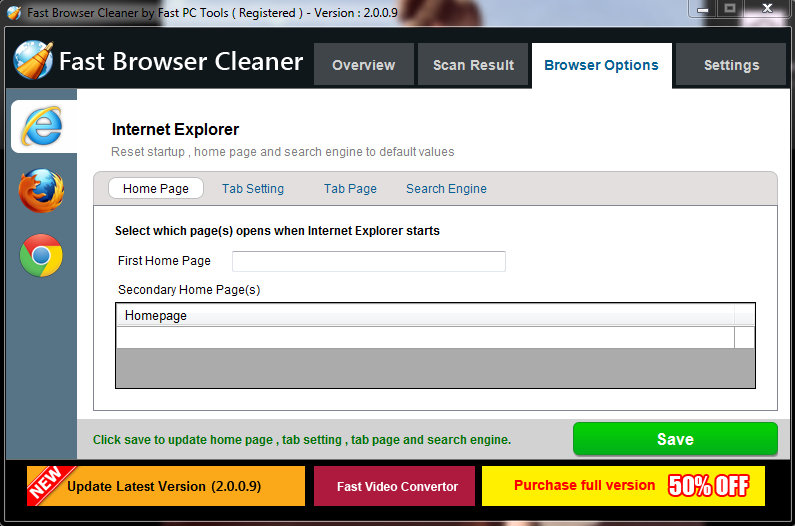 Fast Browser Cleaner 2.0.0.19 completely fails at removing most adware. Brian, this works on any browser. if it is adware removal you need, the you need to get a dedicated adware removal program such as Reason Core Security > https://www.reasoncoresecurity.com/ or ADWCleaner > https://www.bleepingcomputer.com/download/adwcleaner/ Fast Browser Cleaner 2.0.0.19 completely fails at removing most adware. the Junkware Removal Tool is also good at removing certain types of adware and other unnecessary junk. Ootje, yes you are right, the Junkware Removal Tool is also good at removing certain types of adware and other unnecessary junk. Easy install on a Win10 64 bit professional system. Quick turnaround on the registration code. Only have IE and Chrome and it scanned and cleaned easily. No problems with the machine freezing. I was rather amazed at the number of garbage files on the two browsers so this is a good choice. Thanks GOTD and FastPCTools. I did not purchase another installment of the program... whereupon they removed the professional functions... restoring the "free" version for my use. I hope that helps to clear up that matter. On the Crap Cleaner issue... I purchased the "professional" version a little over a year ago, believing it was mine... end of story... However it soon became evident I failed to read the fine print... for within days of the first anniversary of "owning" this software I received correspondence to notify me of the impending conclusion to our contract... whereupon I was asked to purchase another year... yada yada yada... I did not purchase another installment of the program... whereupon they removed the professional functions... restoring the "free" version for my use. I hope that helps to clear up that matter. 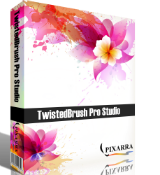 I don't understand these software developers trying to market something like this for a price. There are hundreds of free software, which does the same exact thing this one does. So why pay for something like this? 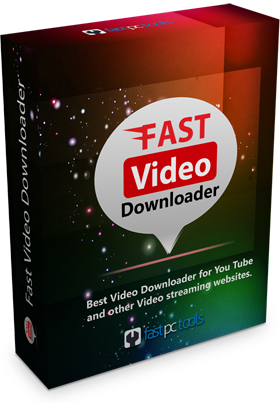 The interface includes Fast Video Converter and Fast Video Downloader tabs, which is misleading, as those are not available in this application. Also, after the cleaning is done, there remain 2 leftover files, which obviously means that the cleaning is not complete. Could the Developer shed some light on this issue? I use Firefox as my default browser yet this program tells me that it is not installed. Absolutely useless for me. For testing purposes I also installed the 64bit version of Firefox and guess what...FBC had no problem anymore to see Firefox was installed. On an old XP machine MyStartSearch was removed in a breeze ! Ronald Eiring, It looks like Fast Browser Cleaning doesn't like X86 installations of Firefox on x64 computers. :) For testing purposes I also installed the 64bit version of Firefox and guess what...FBC had no problem anymore to see Firefox was installed. To look on the positive side: On an old XP machine MyStartSearch was removed in a breeze ! StrayCat, I'm using 32 bit Window Vista & 32 bit Firefox. Maybe a clean install of Firefox might fix the problem...then again this looks like a long shot. Maybe others will join in. Ronald Eiring, I see. I guess there's more than one issue to be fixed. :) Thanks for letting me know. (I still have a vista x32 on another machine and I might give it a try sometime tomorrow ) Maybe a clean install of Firefox might fix the problem...then again this looks like a long shot. Maybe others will join in. Take care. 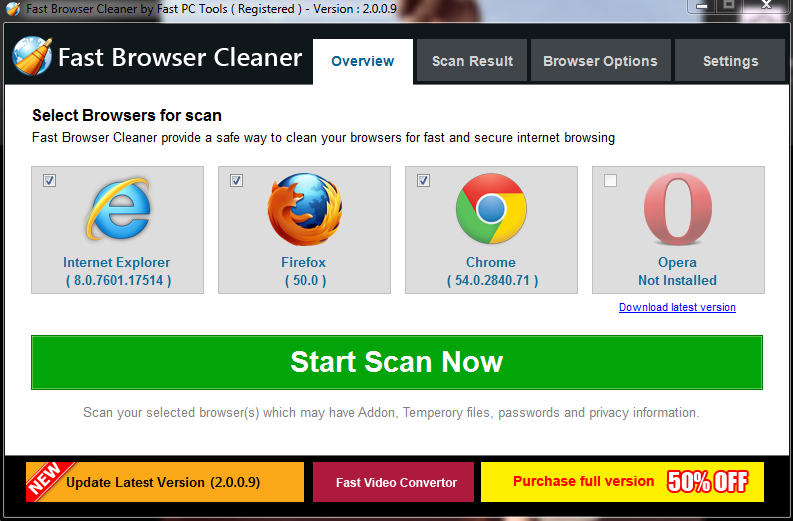 Thanks but no thanks - CCleaner, KCleaner and Privazer all FREE do an excellent job for me! Howard R, It's great that you use all those wonderful products. Congrats. Have you noticed that this is a review site for people to review the offered software? I have to vote thumbs down as the program install okay but tries to do some sort of scan when I start the program on my Win 10 laptop. The scan fails and the program crashes. Thank you for the offer. Uninstalled via reboot. dadams, I have Windows 8.1 Pro. I installed the software, then tried to start the scan, but it failed to complete and stopped working. Tried it three times, but no. Uninstalled it, then reinstalled it again, but still the same problem. I couldn't even get as far as entering the activation key. I am so pleased that I hadn't purchased it. dadams, I have Windows 8.1 Pro. I installed the software, then tried to start the scan, but it failed to complete and stopped working. Tried it three times, but no. Uninstalled it, then reinstalled it again, but still the same problem. I couldn't even get as far as entering the activation key. I am so pleased that I hadn't purchased it. Well I ran it and it rather clumsily removed stuff - Some had to be removed manually. I then ran CCleaner and it had nothing much to remove. Could someone NOW do it the other way around (Ccleaner first) to fully test? The only option for alternative search engine offered is BING??. Untick 'Start with computer' unless you want to clog up the Op Sys in the background, even more. Soon to be removed again I reckon. Well I ran it and it rather clumsily removed stuff - Some had to be removed manually. I then ran CCleaner and it had nothing much to remove. Could someone NOW do it the other way around (Ccleaner first) to fully test? The only option for alternative search engine offered is BING??. The program sits in the background after running (Why?) Untick 'Start with computer' unless you want to clog up the Op Sys in the background, even more. Soon to be removed again I reckon. So, this is basically just one feature of CCleaner, with the price tag of $30 and limited use... hmm, let's see - CCleaner is FREE and does absolutely impeccable job and is present on the market for many, many years, constantly updated and improved. I mean - developers should really think where to direct their efforts. Yanco, 1.CCleaner is not free,there is free version,but full product have a $25 price tag. 2.Yes it's most popular junk (temp folders, browser history etc.) cleaner,but it is far from impeccable.For years there are products which can remove more junk than CCleaner (including this one) 3.registry cleaner in CC could cause serious problems(as any other reg cleaner).In several occasions CCleaner detected legitimate items still in use as orphan entries in the registry and tried to delete them-not often,but... 4.I'm not saying that CC is bad software,but also it's not so good as You wrote.It's most popular because it is so long on the market,and does decent job for average user-just decent,not perfect. 5.with your last statement I fully agree-market is overloaded with this kind of tools,and developers should try something new to earn money.$30 just for cleaner-no ty. as always-sorry for my English-I learned it by myself. Easy download and fast and easy registration. Given it a try and removed far more rubbish than I expected to see. Browser seems to be a lot faster. very pleased so far. Many thanks to Fastpctools and GAOTD for this one - looks like a real keeper. Kestrel, C-Cleaner is free and does a LOT more! Kestrel, a keeper for one year, then you have to pay yearly for it to rent it, not keep it. Chris, I have been to the site and I don't see that it is a yearly recurring charge. Can you link that for me as I was interested? JEB, the full version of C-Cleaner isn't free.
" Fast Browser Cleaner is created to clean unwanted addons, extensions,stored unprotected passwords, credit cards, cookies, history, temporary files and search engines. You can also change start page, home page and default search engine of browser. NB: The license is provided for 1 year "
Kestrel, denmarkbynite It's clearly stated here: " Fast Browser Cleaner is created to clean unwanted addons, extensions,stored unprotected passwords, credit cards, cookies, history, temporary files and search engines. You can also change start page, home page and default search engine of browser. Clean adware like MyStartSearch, Wazam, HealthAlert, ReleventKnowledge, SweetIm, Babylon, Most of the toolbars of conduit, GameDesktop, YesSearches, Most of the toolbars of MyWay(Ask,Mindspark) etc. 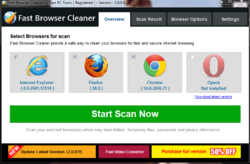 NB: The license is provided for 1 year "
Does c-cleaner get rid of the specified adware? To everyone claiming the superiority of c-cleaner: Does c-cleaner get rid of the specified adware?